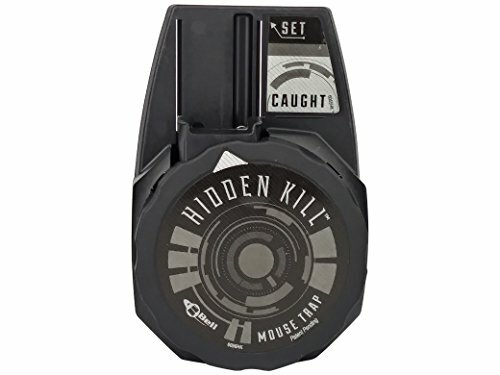 Looking for the best mouse traps in 2019? If you should use a snap, clam, or multi-catch mouse trap? A trap that catches a mouse in a closed container that can be tossed out with ease. 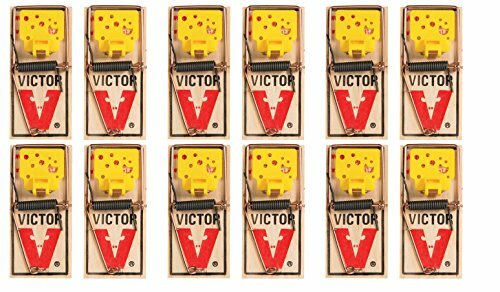 The Victor Electric Mouse trap is a perfect trap that isn't messy after the catch, relatively humane to mice, and requires little-to-no maintenance. All you just need to grab a container of peanut butter and a pack of double "AA" batteries to get started. It's built to last and make mouse removal easy. If you don't actually want to kill your mouse, check out the Catcha 2 below. For a homeowner who wants to catch their mouse (but not kill it) the Catcha is the best humane mouse trap. 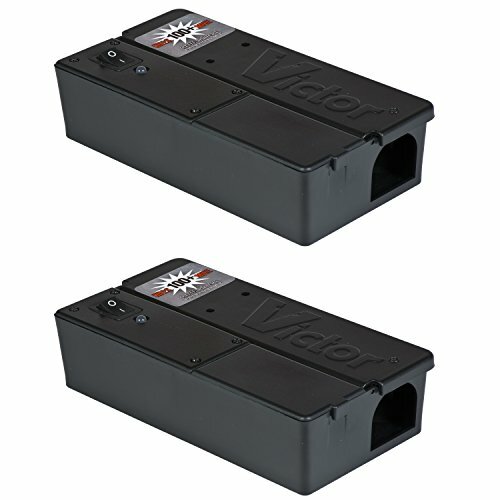 The Catch 2 piece is perfect for smaller mice infestations and homeowners who don't want to kill the mice when they catch it. This trap doesn't use poisons, chemicals, or glue. It's easy to use right out of the box and is pet and child safe. Simply bait the trap with peanut butter and wait for a mouse to enter. When one does, the spring trap will close and you'll have caught your mouse. You can open it up and release it outside into a wooded area. That said, we've also picked out our favorite snap traps and multi-catch traps for for people who want to learn more about your options when trapping mice. What else can you learn in this review? What Types of Mouse Traps Are Available? Snap Traps To Kill Mice? What Are The Best Bar Snap Traps? Clam Snap Traps To Kill Mice? What Are The Best Clam Snap Traps? Glue Boards To Kill Mice? Multi-Catch Traps To Kill Mice? What Are The Best Multi-Catch Mouse Traps? What About Newer Mouse Traps? So What Is The Best Mouse Trap? The purpose of this guide is to clear up any confusion you might have and help you out before you rush and purchase what you think “might” be a good trap for your home or office. Our aim for this article is to provide a resource for those people who need a reliable (and more importantly, an unbiased) source of information to kill those mice in your house. Out of the 8 mouse traps we reviewed, below are top 5 favorites. Take a quick look below to see what made the cut. Keep scrolling down to learn more about why we picked these and how to buy a mouse trap for yourself. 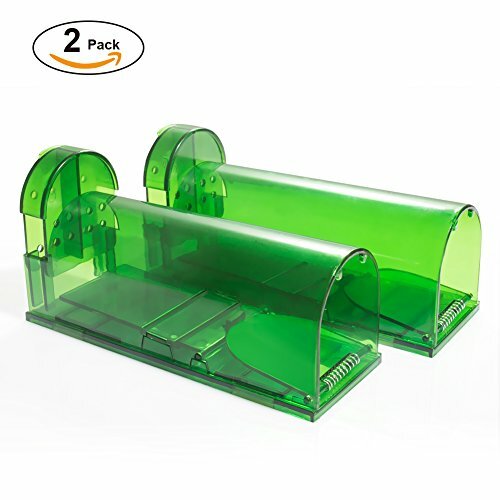 Snap Traps: These use snapping mechanisms to catch rodents and are better for smaller infestations (2 or less rodents on the premises). Glue Traps: These traps use chemicals to create a sticky adhesive holding your rodent in place. The issue with glue traps is that it doesn't actually kill your rodent. We'll cover this a bit more later in the guide. Multi-Catch Traps: These are final types of traps on our list and are the preferred method of trapping for professionals. If you're reading this and think that traps might be too much for you or want to try a more subtle approach first. We'd recommend checking out our ultrasonic pest repellers buying guide. These devices use high frequency noise to drive away pests rather than lethal snares and poisons. There are two types of ﻿sn﻿﻿ap traps for mice. Bar snap traps and clam snap traps. They are similar in mechanics, but there are differences you should be aware of. Bar snap traps are spring-loaded devices which are designed to attract mice with food. Bar traps are designed to slam down before the rodent can escape breaking the neck or crushing the skull. Not a pretty image, but extremely effective.There are many brands on the market composed of different materials, sizes and shapes but they all work pretty much the same. The below video should give you an idea of how to set and place a snap trap. 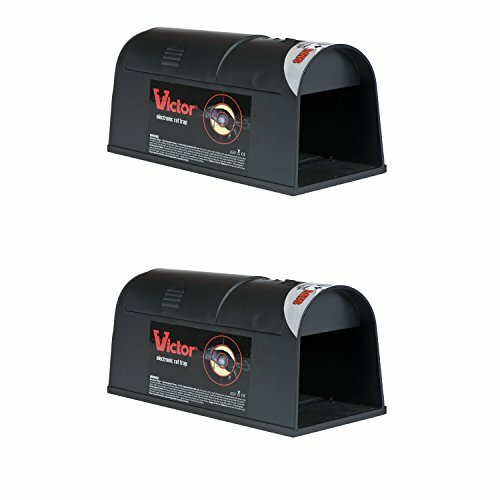 Here are my picks for the best "bar" mouse traps on the market. Take a quick look at my pros and cons for bar traps as well. Bar traps are hard to look at when they have caught a mouse due to the mess it makes after the kill. Not a pretty sight. The wood bar trap does not hold up well if placed in moist areas. Take a look at the below video to get a better understanding of how these traps work and where they fit in a removal plan. Here are my top picks if you want to try out a clam trap. Take a look at my pros and cons for clam traps as well. How To Bait Bar ﻿And﻿ Clam ﻿﻿Traps﻿﻿? Both the Clam and the Bar trap require “baiting” to attract the mouse to the station for the final coup de grace. The bait (food) should be what the mouse has been feeding on in your house, dog food, meat, cheese, seeds, nuts, peanut butter, etc. A small amount of bait works better and prevents licking and nibbling which at times will not set off the trigger. For meat or cheese people have tried securing the bait with a piece of dental floss to prevent “stealing” the bait. Mice are crafty, and they are known to steal the bait without setting off the trigger. Bar And Clam Trap Placement? This is critical, and these traps should only be placed around areas of activity and close to the walls and structure where you are seeing feeding, droppings or rub marks. The direction of the trap is also important. Make sure to place the baited end next to the wall so the rodent following the normal path against the wall will not have to detour around the trap. Curious about other mouse articles? Check out our other detailed guides to help you deal with your pest problems. Glue boards have evolved to a point, where they are overused and became a focus of attention with many animal rights groups. While we all would agree to the extent that mice can't co-exist with humans for many reasons (disease and food contamination), the method and how we eliminate them will still raise issues. The method of operation is simple, find areas of activity bait the boards with seed or peanut butter and place into action out of the reach of children, pets or other non-target species. Mice will attempt to address the food and become stuck on the board often with vocal and violent gestures as they struggle to free themselves. There have been cases of rodents chewing off limbs to free their bodies. Here's a video to give you a better idea of what we mean. Most of them are used in commercial kitchens and industrial sites. They don't have to baited, the mice simply enter the device out of curiosity and a trap door shuts them inside. Other traps drop them the mouse into an area below or behind where they entered. Both methods can be opened for disposal, cleaned out and reused. While the idea sounds bizarre, like “Old Sparky” for the rodent world, a lot of these devices are hitting the market. Basically, the station is powered by normal "AA" batteries, the rodent enters the station, which is baited as the other traps are, and the rodent gets electrocuted. These are reusable and safer than rodenticides. As someone who's been in the industry for 20+ years, this trap has my attention. Manufacturer Bell Labs posted a press release on October 18, 2016 singing praises for this new mouse trap. The device is clean, effective, can be used in sensitive areas such as office buildings, a doctor’s office, homes or other areas where other traps can't be visible. The mouse enters a pre-baited compartment, concealed on the bottom of the station. The entry slams shut, killing the rodent and trapping it inside. The indicator on the station will show if the station recorded a false reading or if there is an actual mouse inside. At that point, the entire station with the dead mouse can be tossed. When looks matter this station may be your best bet. This is a bit new on the market to pass judgement, but I cannot see it failing. The price point surprisingly low enough for the typical homeowner. I would say that this is not for industrial work on heavy infestations, but it does certainly has its niche. At the end of the day it really depends on your situation, what type of infestation you have, and how sensitive the area is you are working with. A commercial kitchen with a mouse problem will have different needs than a typical home. Snap traps work but are messy, glue boards are out of the question (unless you want to torture your mouse), clam traps are okay but you need to be ok with seeing a dead mouse, and the multi-catch traps require a lot maintenance for a typical person. We really like the idea of catching a mouse in a closed container that can be tossed out. That being said, my recommendation goes to the Victor Electric Trap as well as the newer Trapper Hidden Kill product being developed by Bell Labs.